Apparently it was necessary for me to have a crazy dream of registering for a farmers’ expo here in Nova Scotia. The rule was that if you could register a VOF (Very Old Farm) you somehow could claim senior status. I thought I might use my grandfather’s farm outside Mafikeng in South Africa – after all, the land was appropriated by the British and granted to various of Queen Victoria’ officers as rewards for good performance during the Anglo-Boer War that ended in 1902 (They thought they took it from the Boers but of course they dispossessed the local Setswana villagers of their traditional grazing lands on the edge of the Kalahari Desert). And so, through Her Highness and her conquering army, it had been part of the Empire, so arguably should qualify. Those British officers gave their farms names like Nottingham and Sherwood. My grandfather bought up a number of farms in the area with the money he made from a very successful diamond claim in the Lichtenburg diamond fields. 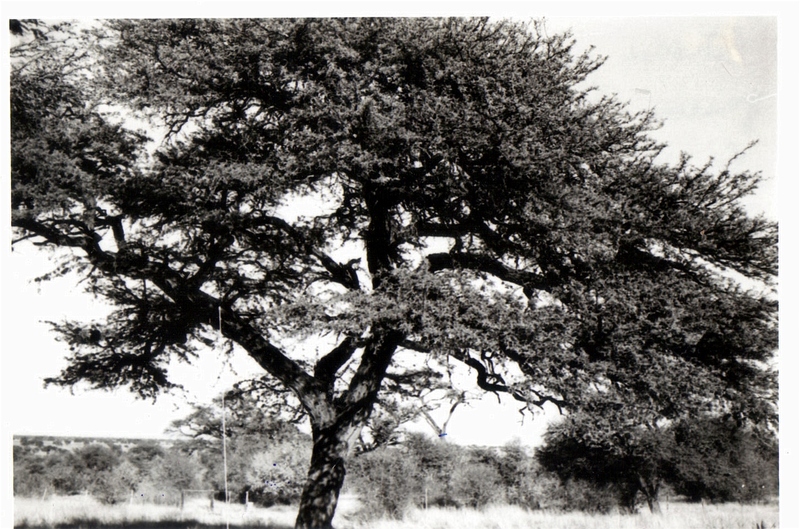 We always went to the bushveld for our winter vacations. My mom inherited Sherwood; one of her brothers got Nottingham. There was no Robin Hood although my grandfather did establish schools and a sort of clinic for his farm workers’ families. Allegedly that was more to keep the kids out of trouble with the cattle than it was to educate them. I don’t know – but I do know that one of those kids grew up to be the ANC (African National Congress) organizer in the area when he grew up. But so surely Sherwood meant that I did have a Very Old Farm in my heritage? Somehow the organizers of the expo in my dream wanted registration papers. That so upset me that I woke up. How do you prove, on paper, in a country far, far away, that you spent your winter vacations in the dust of a cattle ranch among thorn trees, with leopards still occasionally ‘stealing’ new born calves, with those cows with their wonderfully curly white heads attached to their Irish-setter red bodies – staring curiously as we passed by? What about the smell of the first rain – those huge drops plopping on the hot red sand, sending up little dusts clouds as they hit the ground? I imagine all this is triggered by the work I’m doing in putting together Matters that Matter to Seniors and their Families. Seems my own heritage is sitting there in my head, waiting to come out. You see, this week we had our first session of Matters that Matter in the lovely old school house in Musquodoboit Harbour, that has become a community gathering place. It was my first experience of working deliberately, in a structured manner, with a group of seniors, to talk about the things that matter to them (us). By the time we were done at around 3.00pm we knew a bit more about wills, powers of attorney and how the living will – personal directive – works in Nova Scotia Just enough to know that there’s a reason why one uses a lawyer for some of it and that there’s a reason why it is important to talk with our families about end of life issues even when they don’t want to. And we all got to know new people – not well, but enough to have a sense of who they are. Isn’t that where human discourse begins? Towards the end of this week’s workshop we were invited to talk about our memories of the best time in our lives as part of wrapping up – we’d had enough talk about when we die, let’s talk about how we’re living, right? 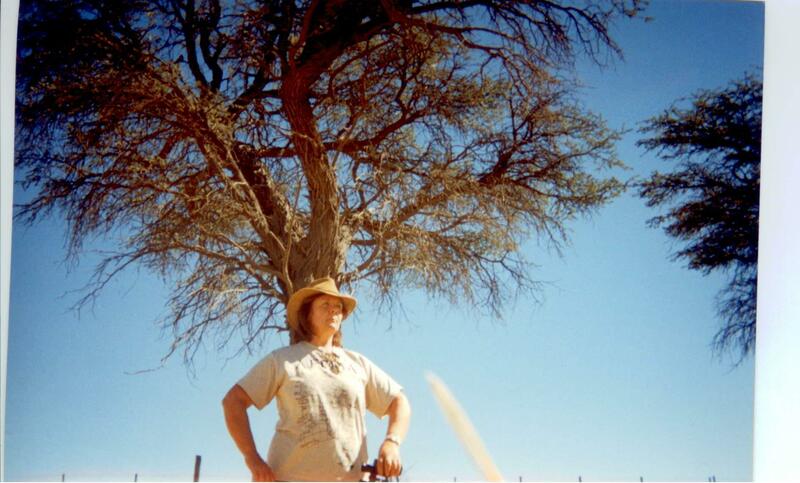 And so I think that’s where my dream of the bushveld farm came from. Those memories of the people – the cousins, the grandparents, the donkeys, the rugby games – those were the best times of my life – as I was living it then. Not the only best times though. I’m having another ‘best time of my life’ right now: Planning and running this seniors’ program, living on a lake (talk about a dream fulfilled, for an African child used to dust and drought and fear of cattle dying), and finding ways of earning a living that are true to who I am, and, OK, I confess, planning my next trip back to the bushveld of South Africa, because I can and want to. Heritage is woven through the entire program and so it’s not surprising that I would have some dreams about my own. We’re going to talk about decluttering next. 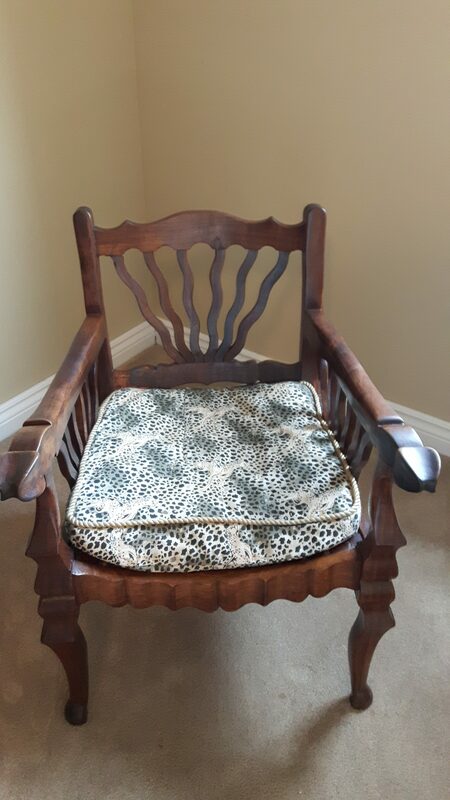 I have some stuff still in storage in South Africa – beautiful hand-carved antique tambotie chairs as well as the lovely little stinkwood table my father-in-law made, among others. Do I need that furniture here in Canada? No – there’s plenty of furniture here. But the look and smell of them are part of my heritage – how can I walk away? And so for 6 years they’ve been delicately stacked in storage, waiting for me until I’m ready to dispose of them or bring them out. An expensive way of making decisions. A friend of mine has a wonderful re-frame of the old ‘work-life balance’ thing. She says there’s no such thing –it isn’t a balancing act. What we need is work-life integration – where both aspects provide meaning for the other, and so in which one truly lives an integrated life – or, a life of integrity. And so, when I come back from Africa I’m going to re-open my search for my Canadian farm. I mean, I’m a ‘senior’ by simple progression through the years, but wouldn’t it be cool to have a Very Old Farm of my own, where I can look up at the Fall sky and see Orion’s belt? The very same stars as I could see in the pitch black Southern sky, hundreds of kilometers away from the pollution of city lights? It will feel just that much more like home, then. I’ll be even more me than I am now.